We love skiing and I’m sure you do too! 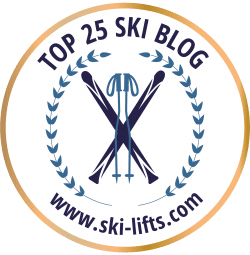 We thought it was about time we shared our favourite ski blogs… These blogs deserved to be awarded, that’s why we’ve created this list of the ‘Top 25 Ski Blogs’. Find out who our panellist picked as the top 25 ski blogs around at the moment… Find out everything you need to know about the best time and place to book your ski holiday, the best gear to buy, ski/snowboarding stories and even snow forecasts. 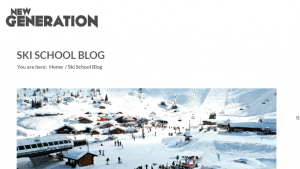 Whether you’re heading to Morzine, Val Thorens, Keystone or anywhere else, you’ll find much of what you need to know on these blogs! 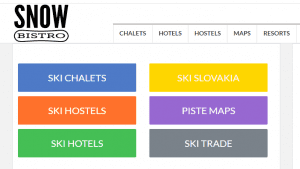 There are a number of ways you can shout about your listing on Ski-Lifts’ Top 25 Ski Blogs. 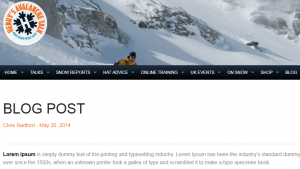 So what are the Top 25 Best Ski Blogs? Let’s find out! Californian born Miles Clark and Eric Bryant started SnowBrains.com in March 2013. Their main hobbies are skiing, mountain biking, surfing, studying, writing and travelling. 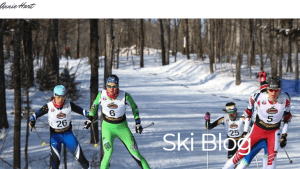 The main aim of this blog is to keep you informed, to satisfy your desire to learn about skiing in an easily digestible way. Louis Dawson was the first person to ski down all 54 of Colorado’s 14,000-foot peaks, otherwise known as the Fourteeners. 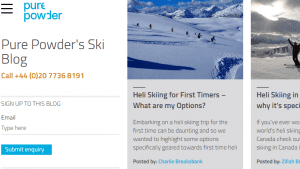 He is the author of numerous books about ski touring and his opinion blog says everything you need to know about backcountry skiing. 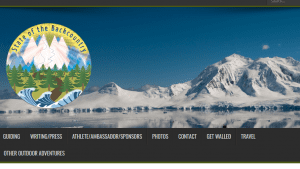 He is passionate about all outdoor recreation including alpinism, climbing, mountaineering and skiing. New Gen was set up by Tom in 1998 to ensure ski lessons are enjoyable. Four instructors from Courchevel came together to offer ski coaching, they are passionate about delivering incredible mountain experiences and have created a blog around it. 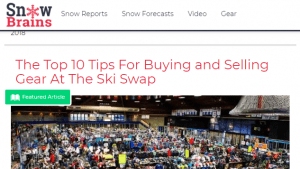 Lance Nelson writes articles that help your search for the best value available in Bansko. The Blog reflects his passions for the outdoors and the winter ski season. 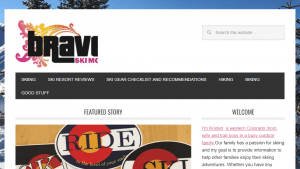 TheSkiDiva.com is a community of women who share a passion for skiing. The female focussed blog means women can talk about skiing in a way they can relate to without it being male orientated. 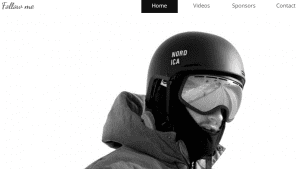 Snowboard editor Mark Barber has joined forces with Robert Stewart a qualified ISIA ski instructor and ski journalist to create the snowsports website the Snow.Guide. The author of Brave Ski Mom is Kristen, from western Colorado. She has a passion for skiing and providing families with advice on ski adventures. Snoworks was co-founded by Phil Smith in late 80’s as the first ever ‘ski courses’ company. It has since evolved and transformed the abilities and experiences of thousands of skiers. As the UK’s leading providers of all-mountain ski courses to destinations around the world, Snoworks hand picks, highly qualified and passionate coaches. Pugski talks about Ski at the highest level. 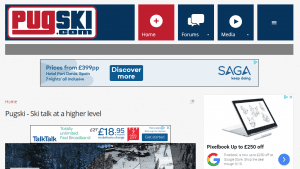 Pugski.com covers all things skiing related from essential Ski gear to the best ski clubs. Director Charlie Brooksbank is an enthusiastic skier, having skied all over the world. Pure powder specialises in organising powder skiing experiences all around the world. Henry’s Avalanche Talk (HAT) helps skiers with their quest for an extraordinary off-piste experience. The blog provides training and helpful information for skiers who wish to go off piste without any fear. 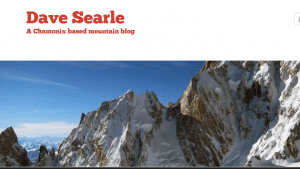 Dave Searle from Devon is a 26-year-old skier and climber. Currently living in the Mountain Mecca of Chamonix Mt Blanc he uses his blog to post pictures, stories, videos or even some wise words. 29-year-old, Dustin Cook, from Ottawa is a full-time drone photographer and a part-time world cup winning ski racer. Dustin blogs about his skiing achievements. Amelie and Yannick are the authors behind The Roving Puffin. They are both passionate about travel, sports, food and all things life has to offer. They met during their travels in 2013 and like to photograph landscapes. Brennan Lagasse is a professional educator, writer, ski guide, athlete and sometimes photographer from West Shore, Lake Tahoe, California. Lorne Cameron from Glasgow has lived and skied all over the world. Currently settled in Chamonix the blog aims to show photos as well as inform, inspire, entertain and act as a personal archive. 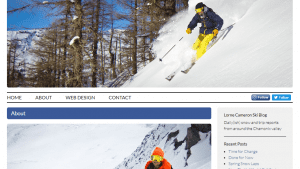 Founded by Richard Patey, internet marketer and lifelong skier. 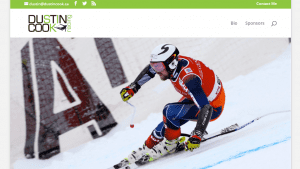 Snow Bistro creates fresh UK snow sports content on interesting and informative stories relating to UK skiers and snowboarders. Patey works alongside Gavin Robbie, content editor and content contributor, Loulou Bayliss. 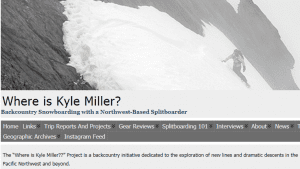 Kyle Miller has created the backcountry initiative “Where is Kyle Miller?”. The project is dedicated to exploring new lines and dramatic descents in the Pacific Northwest and beyond. Annie Hart is a keen cross-country skier from Stillwater, MN. She began skiing at St. Paul Academy & Summit School and trained with the Minneapolis Ski Club. She now trains with the SMS Elite ski team in Stratton, VT, coached by Patrick O’Brien. 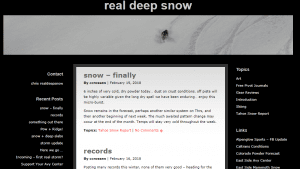 Real Deep Snow is a blog written by Cory Miller. 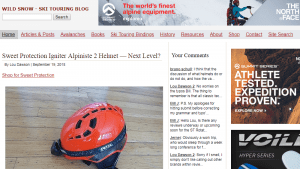 The blog covers topics on skiing and mountain life. Here you can find out about backcountry skiing as well as gear reviews. Skishoes combine ski and snowshoes for the efficiency and fun of skis with the ease and mobility of snowshoes. The short wide skis can be bought through Altai Skis and are called Hoks. The blog focuses on the adventures that can be had with Skishoes which are designed to help you get around in snow efficiently, quickly while still being fun. 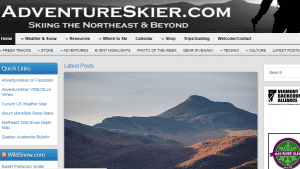 AdventureSkier.com is an informative and evolving source of information for skiers based in north-eastern US/Canada and beyond. 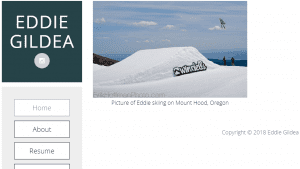 The site is written by keen skiers Brian Mohr and Emily Johnson who are based in Vermont. Joe Hides is from Sheffield, UK. He is a pro skier who creates vlogs on skiing and fresh content including news and updates. 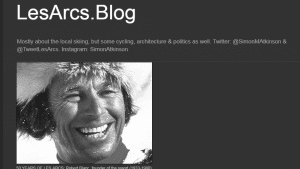 Simon Atkinson blogs about mainly about sports which include local skiing and cycling. Additionally, he likes to discuss architecture and politics as well. Eddie Gildea from Greater Boston participated in a range of sports as a teen with a primary focus on skiing. At 17 he had his big breakthrough skiing on the professional circuit, with numerous top ten results against the best skiers in the world. In 2015 he finished 4th at Total Fight in Andorra, and 9th at the Dumont Cup, leading to his selection to the US Ski Team. At this point, he was ranked 29th in the world and 5th for under 18s.